The Ernst Basin primitive campsite is located along the central portion of the Old Ore Road. 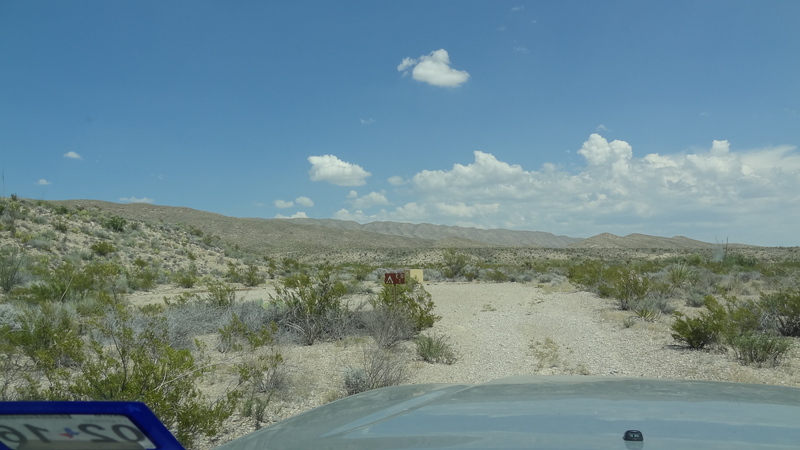 Via the Old Ore Road, this site is exactly 10 miles from the main paved road to Rio Grande Village. The site is 16.4 miles from the north end at the Dagger Flat Auto Trail. There is no rock sign on the Old Ore Road indicating this site—keep your eyes open for the turnoff. The turn-off is south of the Willow Tank Turnoff. High clearance is highly recommended. Four-wheel drive may be required after heavy rains because of several washes that must be crossed. Access road to the campsite is usually in very good condition. Ask a Park Ranger for the latest road conditions. No real shade available. 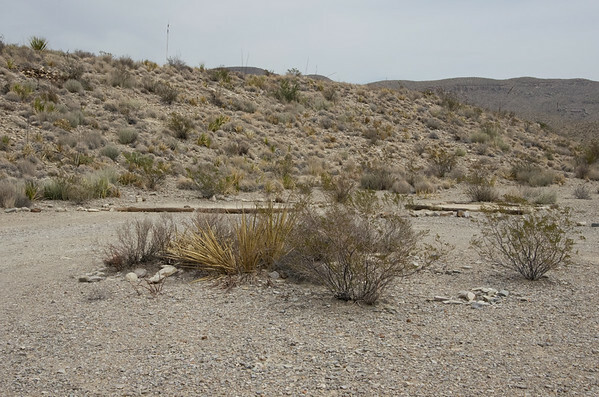 The area is covered with yucca, creosote bush, candelilla, and lechuguilla. The site is protected on the north side by a low hill. Good views of the Chisos Mountains and the Dead Horse Mountains. There is no rock sign on the Old Ore Road indicating the turn-off to Ernst Basin. Keep your eyes open on the east side of the road. High clearance vehicles are highly recommended. The road to Ernst Basin follows the "original ore road". You can hike the 8.0 mile road to Ernst Valley and the ruins of the ore discharge terminal.